We all know that time can slip away from us, so our lives sometimes become completely disordered and disorganized. But we cannot allow our chaotic lives to interfere with the way we manage our business. Following these seven rules, you can always keep your warehouse clean and organized. Even in those moments when time gets the best of you. In the 16th century, the Japanese created an effective strategy for maintaining order and organization in the workplace. 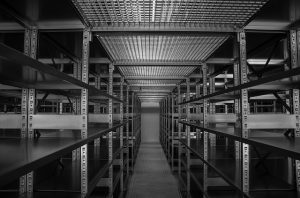 The benefits of these methods of warehousing in Japan include increased levels of efficiency and security – all of which benefit your party. Sorting (Seiri). Do an assessment of what you need and what you don’t need. Clear the inventory, which, in your opinion, is no longer useful for the profitability of your business. This will reduce the interference and unnecessary obstacles in your warehouse. Set up the order (Seiton) – Once you’ve eliminated all the unnecessary turmoil, it’s time to organize! Think of a strategy that makes it easy to find all your inventory. This will save you time and money. In addition, this will help to avoid losing the product. Shine (Seiso) – Before you do anything else, deep clean your entire warehouse. This includes the cleaning of floors, racks, machines, tools, etc. This makes it possible to minimize several types of safety hazards from problems associated with anything from dust collection to slipping on spilled liquids in the aisles. Standardize (Seiketsu) – High standards! Think of a way to make sure that your employees understand every process that can keep your warehouse clean and organized. Sustain (Shitsuke) – Do not let your hard work go to waste. Keeping your warehouse clean may seem easy, but everything can get carried away faster than you think. Cleaning is the easy part; not returning to old habits, this is a difficult part. Create a process that ensures the preservation of your warehouse. For example, create a weekly cleaning schedule in which employees should follow. Or, assign each employee a “zone” as their responsibility for maintaining cleanliness. 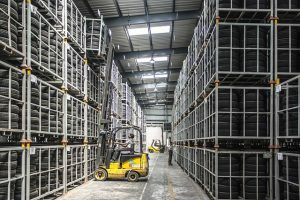 Rule #2: Pallet racking systems – this is a must! 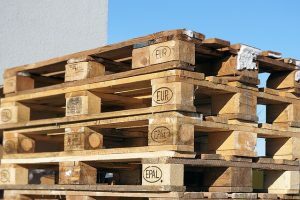 Some of the most successful companies would quickly collapse without the use of pallet racks. This method of organization is useful for any business, small or large. It is one of the most useful ways to improve warehouse efficiency. Rule #3: Wire containers are just as useful! Ability to crumble when not in use – GREAT space saver! Believe it or not, the use of ergonomic equipment will help your company to carry out its tasks on a regular basis while maintaining the efficiency of employees. Business owners can only do so much. The success of a business largely depends on the health and well-being of its employees. It’s amazing that reducing the costs of medical care and compensation for employees can do for your business and the morale of your staff. Without their daily motivation, you could observe how your business is going along a complete downward spiral. Using ergonomic equipment in warehouses also reduces the fatigue and stress level of employees. Too much work ultimately leads to a decrease in productivity. Higher productivity means higher sales, higher quality of work, and fewer errors that cost you money. Are you familiar with “The Three R’s”? The method of “reduce, reuse, recycle” is easy to implement and will provide the best organization for your business. The simplicity of launching a “green” warehouse rests on the fact that you can recycle most items to keep your warehouse clean and organized. Reuse – you can discard 54% of the pallets after one use. Even smallest reuse of products is extremely sustainable for the environment. It is a more profitable investment than you think. One of the top ten accidents in the warehousing industry happens because of the lack of education in the field of security. Dressing in proper uniform glasses, shoes, gloves, etc. General hazards of the warehouse – ventilation, falling objects, etc. But how does this help to clean and organize your warehouse? It’s simple. The fewer accidents occur in your warehouse, the more profitable your business will be. Therefore, security education will not only allow you to save money in potential compensation for the hospital treasury. But it can also save you time, money and hassle when hiring and training a new employee with less knowledge of the product. Regardless of how organized you are, if your company’s sales grow every year, eventually you will need a new layout of the warehouse design or even a whole new warehouse for moving to Japan. We recommend you do this approximately every three to five years, depending on how much your company noticeably increases sales. Is your organization able to safely store the necessary items in a safe manner? Have you set all the requirements for your facility? Did you expect any problems that might arise? Does your object have a functional flow path? Have you noted all our obstacles? Have you maximized your current space? Analyze each of these logistics warehouse logistics designs in detail to keep your warehouse clean and organized.